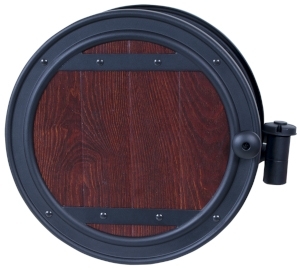 Mix style with function with the NeverLeak by Ames® decorative metal wall mount hose reel. The unique swivel feature allows the basket to swing away from the wall, making it easy to unwind and rewind the hose. Mounts easily on 16" centers to both siding and concrete applications.